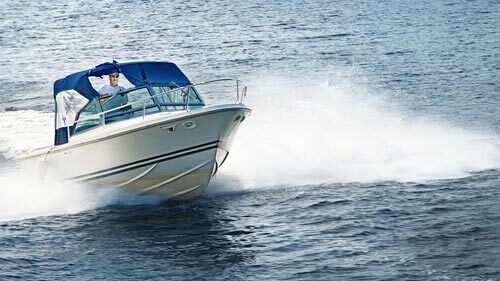 What Kind of Compensation can I get in an Illinois Accident Boat Case? Can the Courts Limit the Amount of Non-Economic Damages That I Receive? Should I use a Lawyer to Help get my Boat Accident Award? Still Wondering What a Boat Accident Suit Could Bring You? The legal term for financial compensation in the justice system is damages and there are a couple critical kinds that you need to be aware of if you are injured in a boating accident. Here is a brief review of all of them, but call us today to hear a more in-depth analysis of what recovery may be available to you. Compensatory Damages: Also called economic damages, these are meant to compensate or reimburse victims for the tangible losses that the boating accident cost them. For instance, victims might rack up significant medical bills in recovery from the injuries they suffered; they might loose substantial amounts of wages because they cannot work due to their injuries; or they might sustain heavy damage to their boat or other property because of the incident. Compensatory damages are meant to fill these holes. Non-economic Damages: These are more intangible in nature. They attempt to repay victims for injuries to dignity, reductions in quality of life, or harms that cannot be measured clearly with dollars and cents. Examples of non-economic damages include pain and suffering, disfigurement, and disability. Punitive Damages: These are meant to punish at-fault parties for egregiously negligent, reckless, or wanton behavior. By awarding plaintiffs these damages, the justice system hopes to deter similar conduct in the future. Examples of acts that might trigger punitive damages include operating a boat while intoxicated or riding it into a densely-packed group of people. Also, it should be noted that these are not available in products liability cases. Wrongful Death: If someone dies because of a boating accident, their loved ones and next of kin might be able to recover damages related to their wrongful death. In these circumstances, courts can award damages that are more tangible in nature (such as lost wages) as well as damages that are more intangible in nature (such as loss of companionship). They need to be reasonable per federal law. They cannot exceed economic damages by ten times. They should be tied to some tangible harm. They cannot be related to some imaginary harm or insult to dignity. verything was fine until another party entered the scene. That person was a young teenager. He was operating a jet ski. His path was right in line with hers. He tried to avoid a crash, but he couldn’t. The little girl died not long after it happened. She was survived by her parents and a sibling. They brought an action against the person operating the boat that pulled her, the man in the jet ski, and the business that made the jet ski. Their case claimed that the two drivers were negligent. They each operated their vehicles irresponsibly and that caused her death. As against the manufacturer, they said it made a jet ski with critical deficiencies. Those faults prohibited the young boy from avoiding the crash. All parties couldn’t get on the same page, so it went to trial. The jury found in favor of the plaintiffs. They saddled the young jet skier with 95% of the fault. They also gave the manufacturer 5% of the blame. All in all, the family recovered $2,000,000 for their losses. These included bills, grieving, and other damages. This fun and sunny day turned tragic in a matter of moments. The plaintiff was a young man. He was just 27 when it happened. He went out onto Lake Pistakee for a ride on his jet ski. Everything was going smoothly until he saw a large boat on the horizon. As it got closer, he tried to dodge it. Unfortunately, he wasn’t successful. The large boat tore up his jet ski then ran him over. He was seriously injured. He broke his femur. That required surgery. Doctors had to insert a rod. Even then, he still lost a lot of mobility. He sued the owner of the other boat. He claimed the defendant was negligent. He thought the boat driver should have slowed down and kept a better lookout. The defendant replied much in the same way. Both pointed their finger at the other. In these cases, it’s normally left to a jury to decide. That’s what happened here. The jury basically said both were to blame. Each got 50% of the fault. That was bad news for the defendant. It was bad news because now he had to pay for 50% of the plaintiff’s damages. That meant the plaintiff would recover close to $300,000 after the award was lowered by half. This case was the definition of a freak accident. The victim was a native Canadian. She was in town visiting Chicago with her husband. They boarded a large, popular boat. It was going to take them sight-seeing along the coast. They were to see the sights and have a good time. That’s not how things went however. The clouds opened, and it began to rain very hard. The wind picked up very strongly too. The boat tried to go around a bend. As it did that, a big wave smacked right into it. The woman was thrust up and down. The way that happened caused her spine to be very badly damaged. She needed it entirely replaced. After that treatment, she was completely paralyzed. The affair left her disabled and in long-term pain. She would need care for the rest of her life. The couple sued the tour company that took them on the trip. They claimed it was responsible for everything. Its defense largely rested on a two-prong attack. First, this was an act of God so bizarre and random that it couldn’t be responsible. Second, it had taken hundreds of thousands of people on thousands of trips without incident. That was proof alone that it was not negligent in its view. Unfortunately for it, that’s not what the jury thought. It awarded the plaintiffs $5,000,000 for these damages. $2,000,000 for pain and suffering. $1,000,000 for lost normal life. The plaintiff in this Illinois boat accident case was in her late 40s. She was a registered nurse. She went out onto Lake Villa with some friends. They had all been drinking. At some point in the day, the boat she was on collided with another. She herniated a disc and cut her leg. Both injuries required operations. Even after that, she was left with sizeable pain, disfigurement, and suffering. She sued both of the boat owners. She argued they were both irresponsible and liable to her for damages. They both filed defenses. Yet, they didn’t maintain their positions long. Part of this may have been because their insurance covered this type of incident. Plus, the damages calculation was cut and dry. The woman received $215,000 for compensation. It can be quite difficulty and complicated attempting to obtain any kind of compensation in boat accident cases whether it be economic, non-economic, punitive, or wrongful death. However, if you engage qualified personal injury attorneys, then they can better help you understand where and why the law affords you relief based on the circumstances of your accident. Also, they can craft the best strategy to achieve that compensation with skill and care. Of course, the courts are always open to you, but your case will be safer in the hands of an experienced lawyer. Rosenfeld Injury Lawyers LLC know that the decision to bring a suit for boat accident injuries should not be taken lightly. It takes a lot of time. It takes a lot of energy. That is why we take so much time to help clients understand what the value of bringing one could be. Want to know what it all could be worth for you? Then contact our offices and someone from the Rosenfeld Injury Lawyers LLC will sit down and speak with you today.